I’m sitting in a field of buttercups on a sunny day on Memorial Day weekend. Stress blows away on the breeze. The buzz of insects replaces the hum of a hectic life. 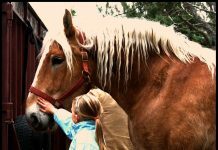 I’m grateful for my horse. 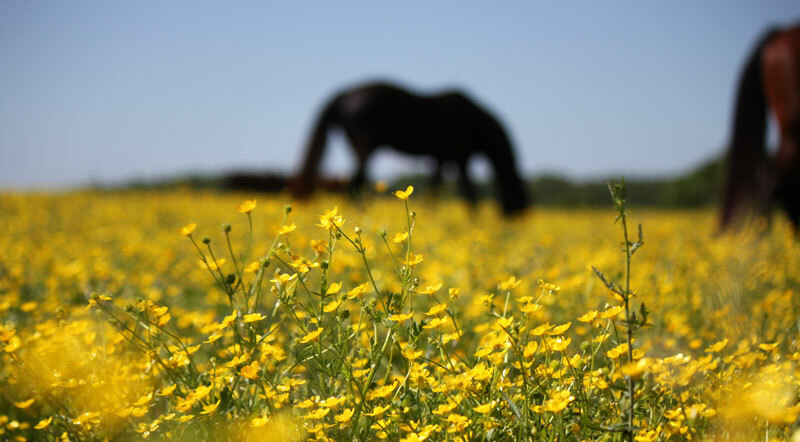 Grateful for the beauty of buttercups (yes, I have read they can be poisonous to horses, but in our 15 years here, it’s never been an issue.) 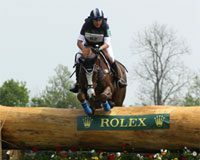 I love how having a horse encourages (forces?) me to live in the moment long enough to appreciate all of this. 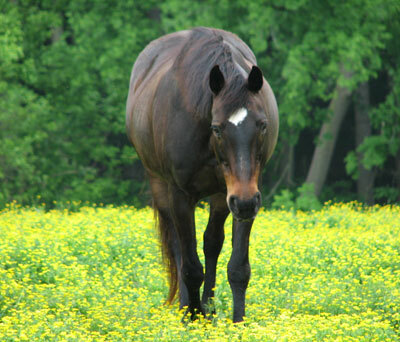 I’m nostalgic about the buttercups, as I look back and realize I’ve photographed all my horses in them over the years. The yellow background makes such a pretty picture. This is 17-hand Benny getting swallowed up by the buttercups in 2004, and us contemplating the buttercups together around the same time. In this case, I just happened to have my camera with me one May day in 2009 and snapped some pictures of Windy. 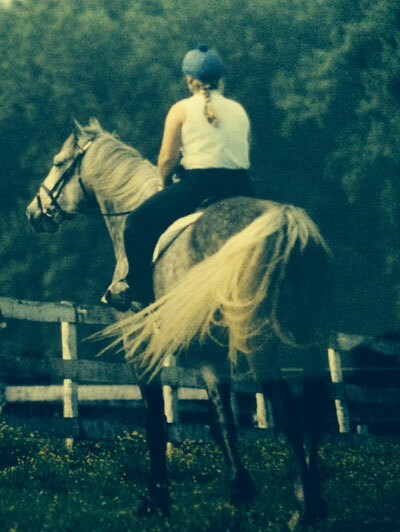 I didn’t realize it would be one of the last pictures I’d ever take that dark bay treasure, who was with me for almost 18 years. She died about three months later. 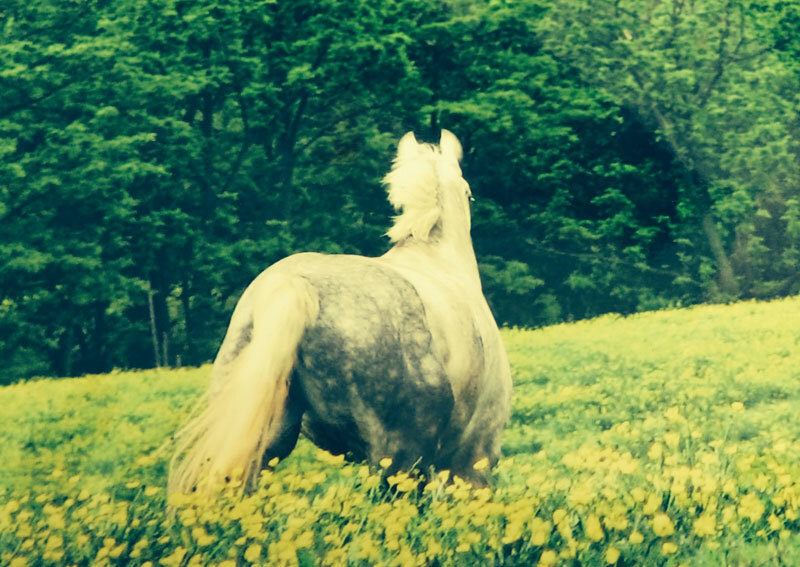 And of course, this buttercups album wouldn’t be the same without Chico (you read about him last month here). This picture was taken after a sudsy spring cleanup in 2011. He’s doing great – just still boarding at the hospital for safe measure, until his eye is all better. Chico, by the way sometimes gets called the “wooly caterpillar” in the winter. 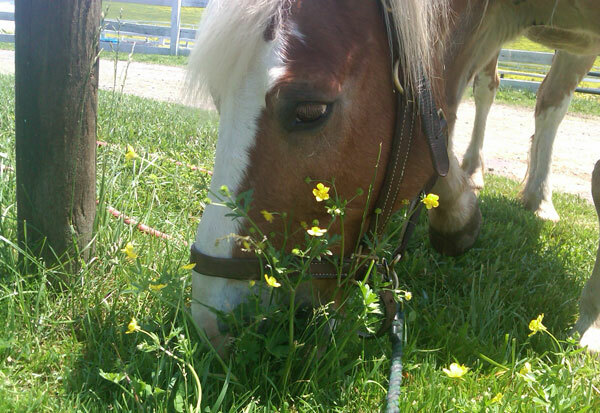 But in the summer his nickname is the “galloping buttercup,” ‘cuz he’s so cute. 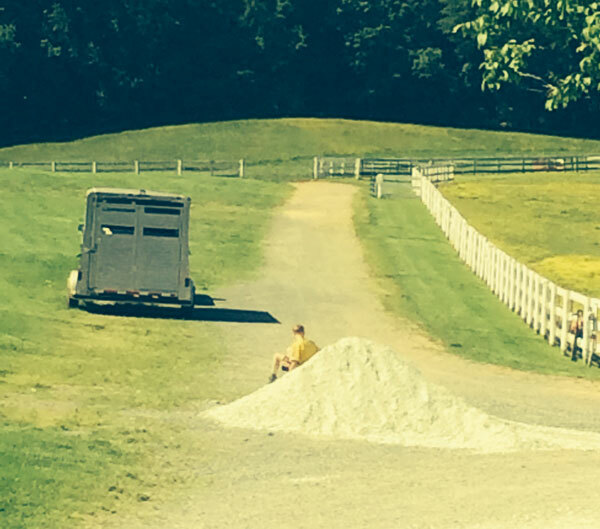 I’m so grateful for the farm where my horse lives that – in addition to the great care my horses get, the buttercups, and that wall of trees that keeps the rest of the world at bay — I can even say I appreciate the pile of gravel in the driveway. After his ride on Paddles (you read about him here), that pile of rocks entertained my 7 year old for an hour, leaving me to have some alone time with all those buttercups. Wonderful. i can feel the sun, hear the insect buzz, smell the spring and relax in all the brilliance. Nice article! Besides memories, those are such beautiful pictures. One of those things I grew up with was that buttercups are beautiful but poisonous. I love them!